Katie Holmes knows that she&apos;s blessed. 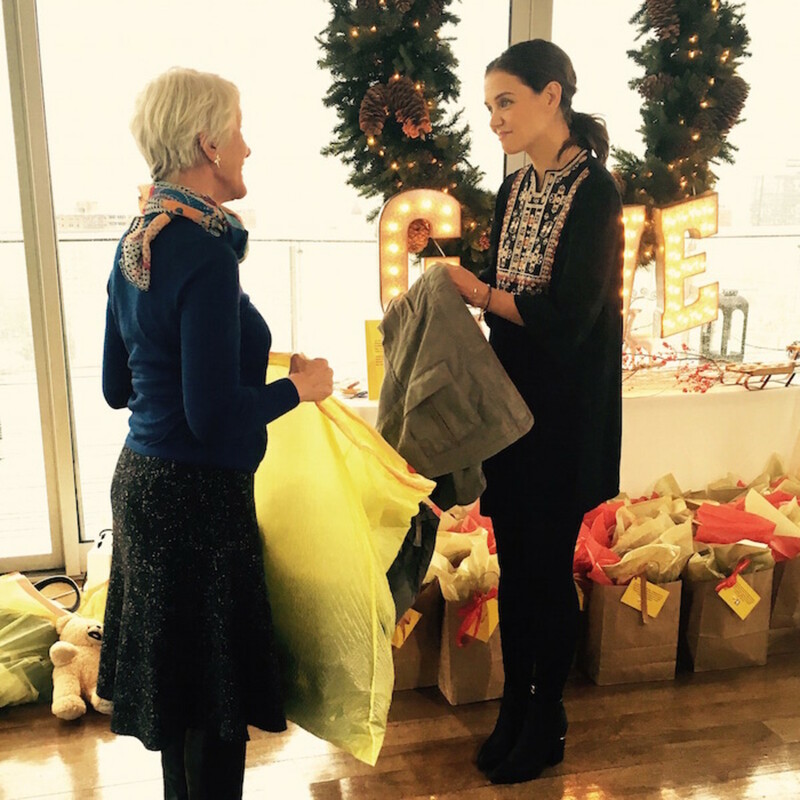 In the season of giving, she&apos;s taking time to give back with the #GladtoGive Campaign. When she joined a group of bloggers in NYC for a launch event she spoke about teaming up to help those in need and about teaching children to share. As a mom, Katie shared that she wants to instill generosity and gratitude in her daughter. Katie brought along coats to donate to OneWarmCoat.org and she&apos;s digging into her closet to inspire others to donate to needy families (more on that at the bottom of the post). Katie inspired me to grab my Glad ForceFlex bag and stuff it for good. 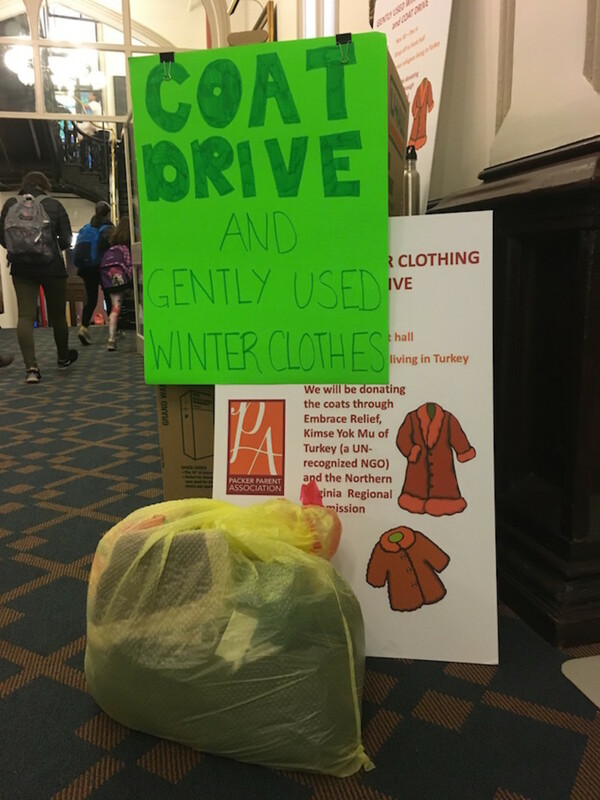 Our school was sending coats to Turkey to help the Syrian refugees. The girls and I scoured the closets to come up with warm clothes to donate. Then we stuffed everything into a Glad bag. I had a moment where I wondered about a old puffer coat. I&apos;d gotten a new one, but the old one was my back-up. I&apos;m not sure why I was holding onto it, but I decided to donate the coat. Giving to other felt so good and there was certainly room in my ForceFlex bag. Want to donate this season? The Glad Products Company is making it easy to lighten your load for a good cause--I was able to stuff a bag full with out donations and you can too. To get a free bag sent to you for your donations head to https://www.glad.com/glad-to-give/. Glad to Give was inspired by people using Glad ForceFlex bags for heavy donations. The bags stretch to fit all the goodies you want to share. That&apos;s why they are giving them away--to inspire generosity. Want more ways to give? #GladtoGive also inspired me to do some baking for our church&apos;s food pantry. 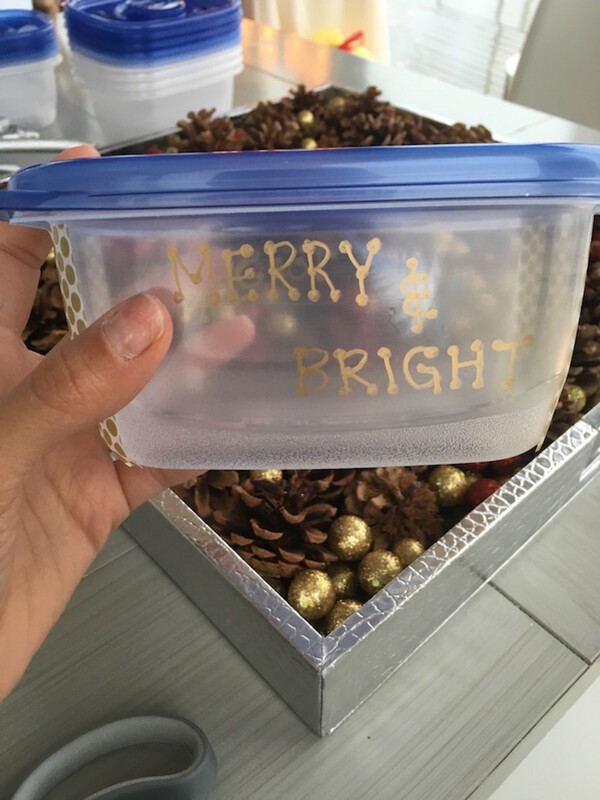 Since they take fresh donations each week as well as packaged goods, I thought the girls and I could make a few bundles to donate and deliver them in decorated GladWare. Try it at home: A little washi take and some Sharpies and I tapped into my creative zone. Small things count. You don&apos;t have to be Mark Zuckerberg and donate billions, you have to do what you can, when you can with what you have. Remind your kids about generosity and that It’s what it’s inside that counts, Thankfully, Glad is making it easy. Ready to join into the spirit of the season? 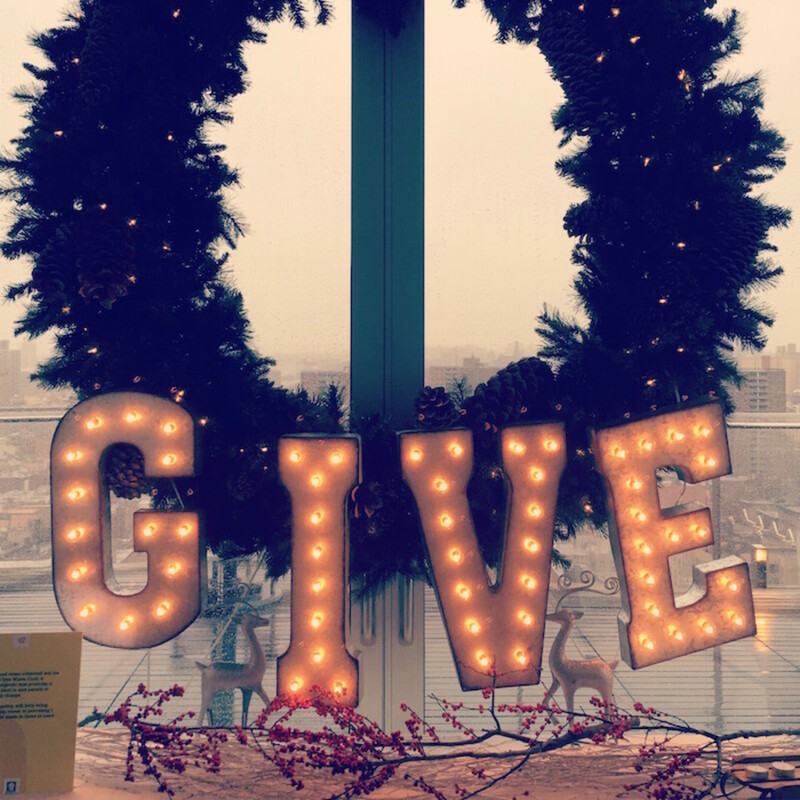 Visit Glad.com for more information and use #GladtoGive to join the movement on social media. The Glad Products Company recognizes the role its products play in giving around the country, from people using its trash bags to collect donations for their local charities to GladWare keeping food fresh to share with someone in need. Get into the spirit of the season, model generosity and SPREAD JOY. Thanks Glad for making it easier.